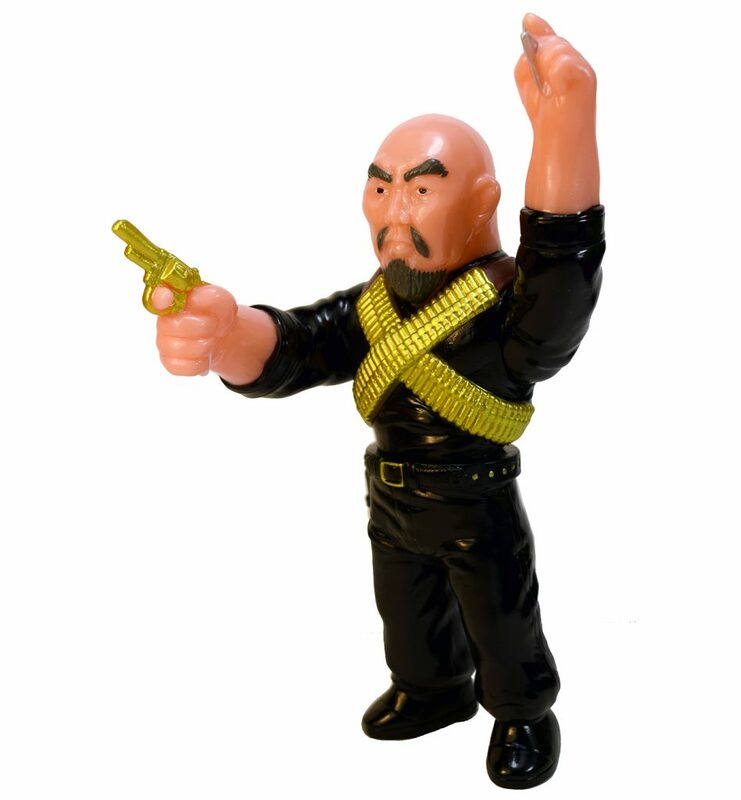 I’ll just dump all the images below in no particular order …. 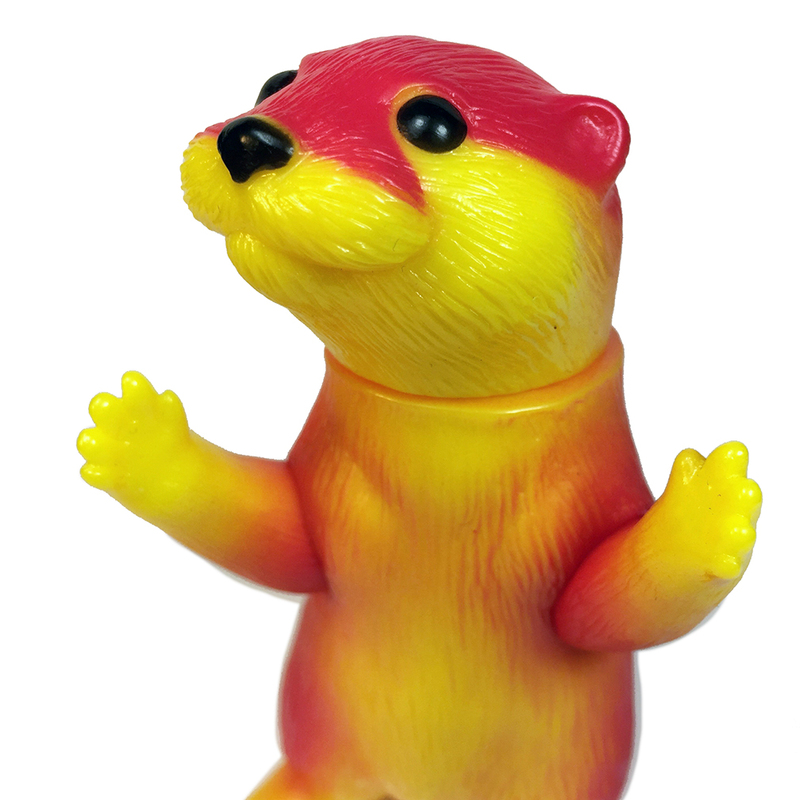 Ollie Otter ! Only a few remain ! 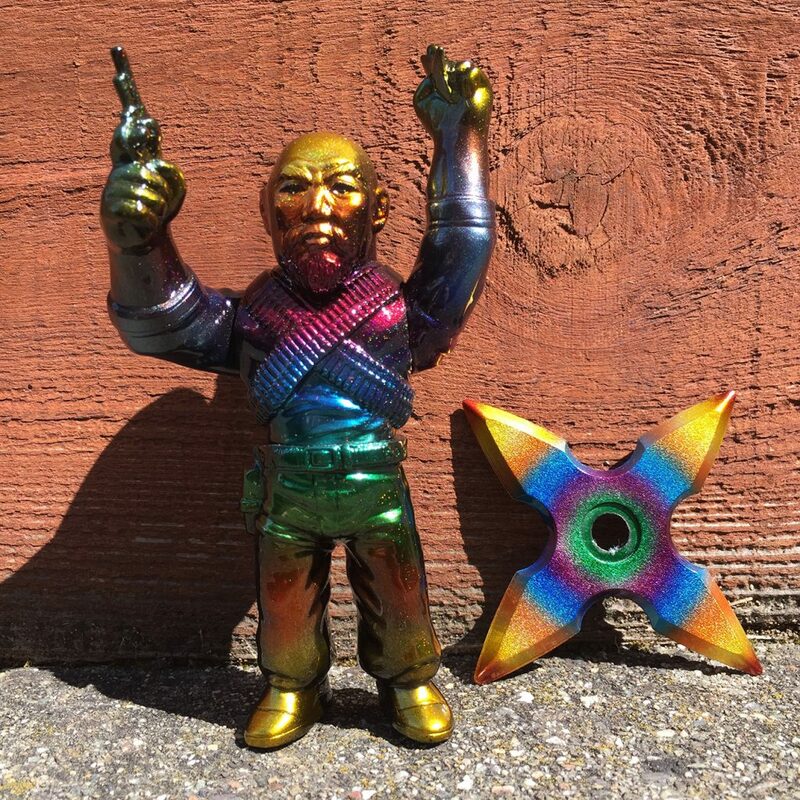 Special Rainbow Man of Many Weapons by Mark Nagata ( see Max Toy web store !) 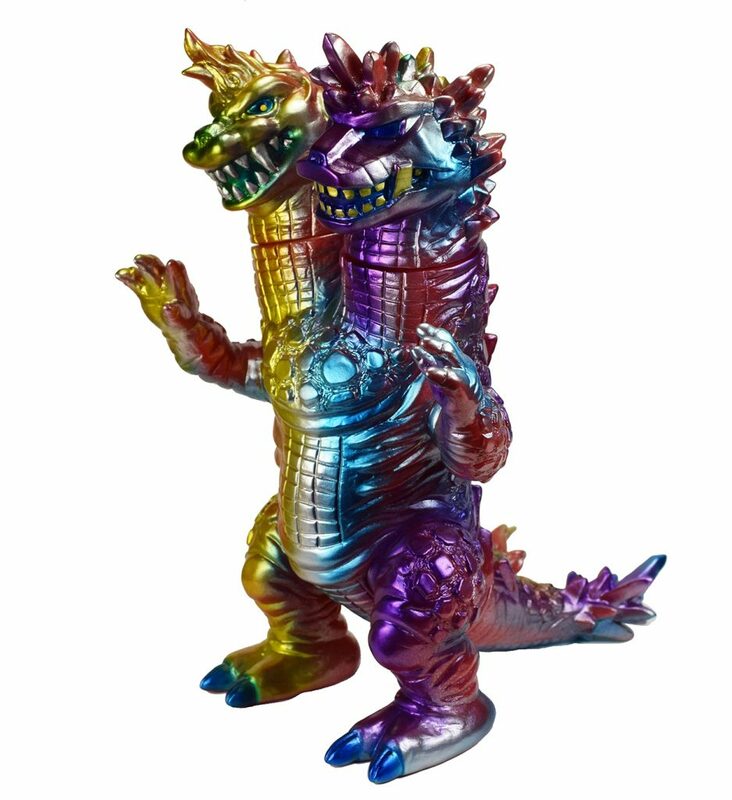 Includes Rainbow rubber star ! 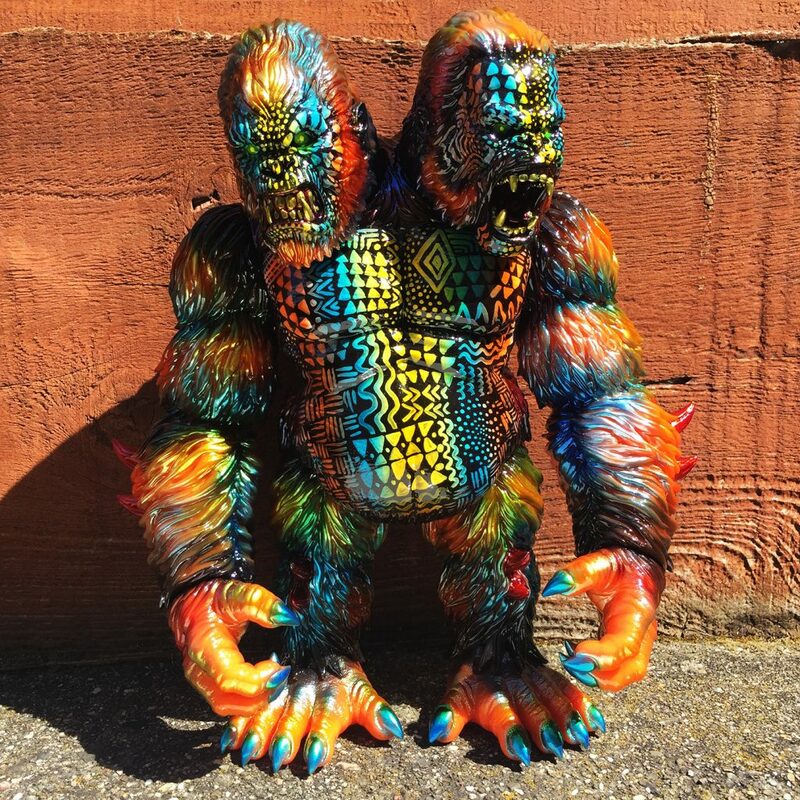 Custom Death Goliathon Ape. 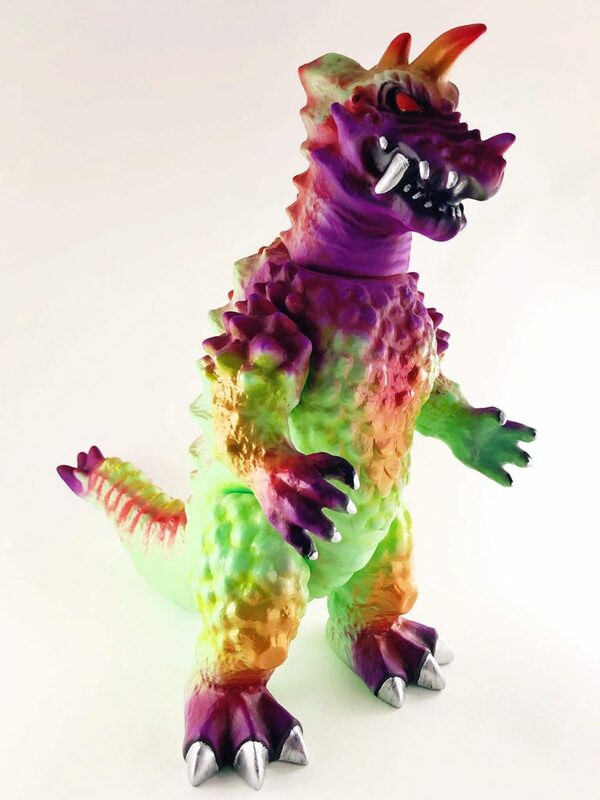 Produced by Planet X Asia, custom painted by Mark Nagata. 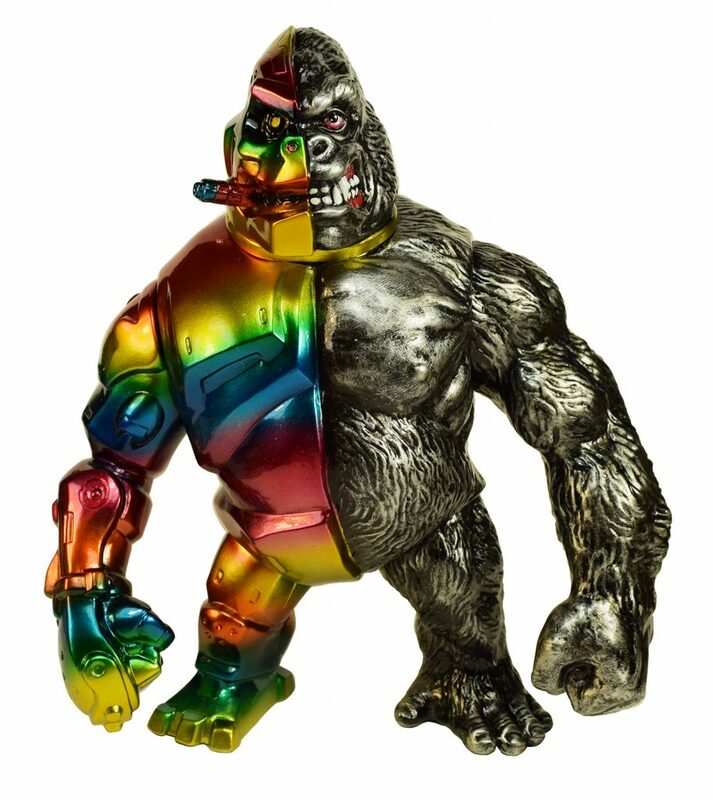 One of a kind Kaiju Ape now in the Max Toy web store ! 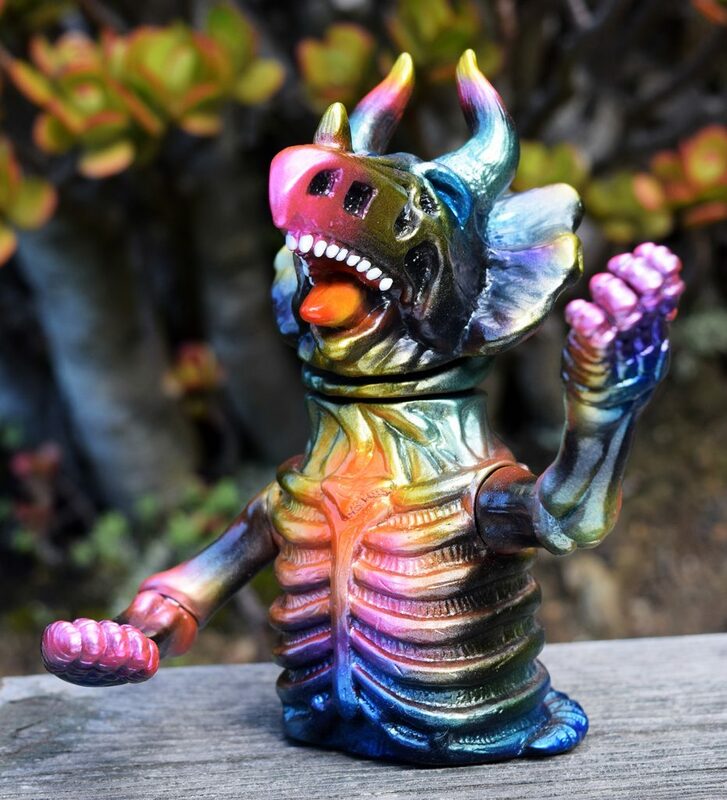 Michael Devera painted Boy Karma micro run. 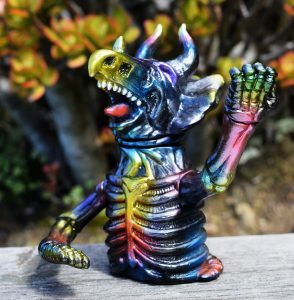 Now sold out ! 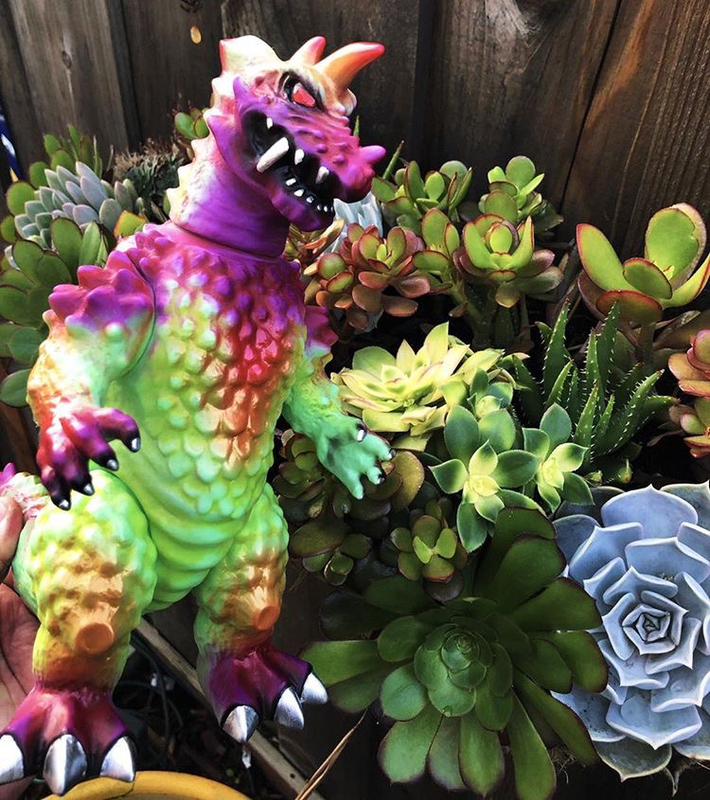 Visited “Kaiju vs Heroes” this past weekend. Amazing wall of coloring sheets by visitors ! 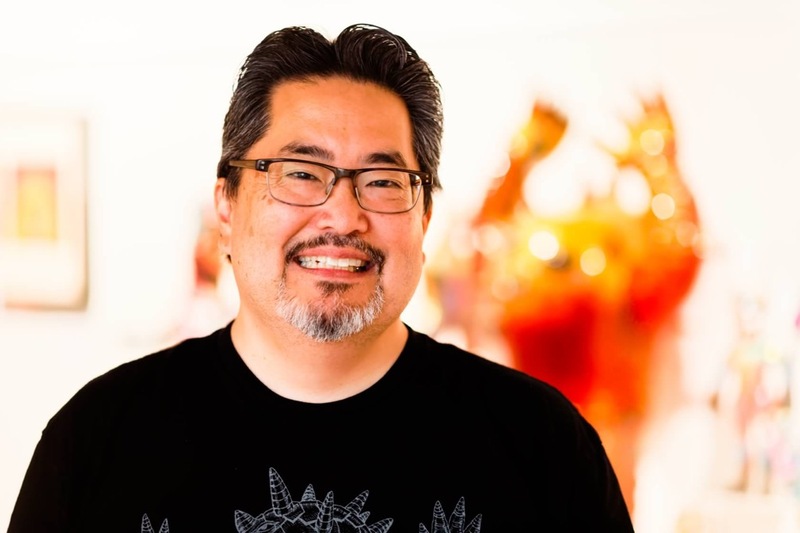 There’s some real gems up there 😉 Show runs thru July 7th, 2019 at the Japanese American National Museum. 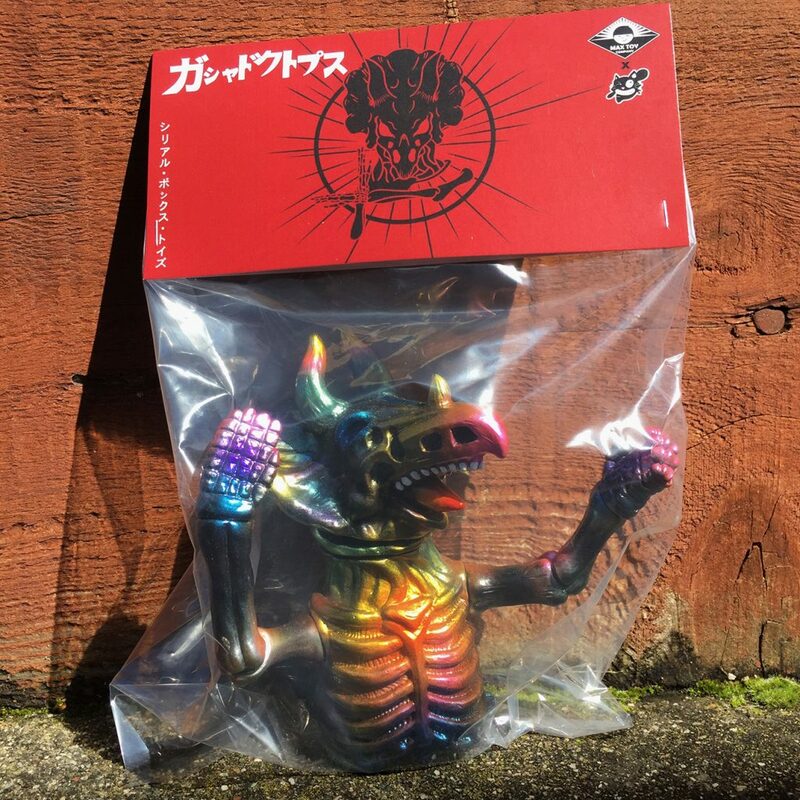 Custom Gashadokutops made by Cereal Box Toys and painted by Mark Nagata. 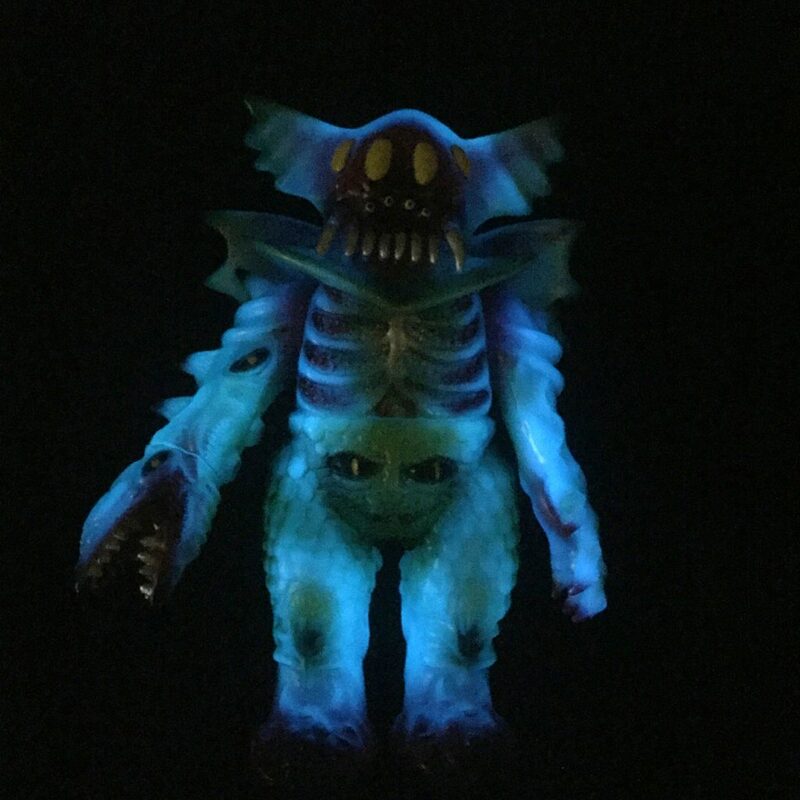 Inspired by ancient Japanese Yokai legends, this unique edition features a special header card with a “ultra powered up” illustration ! 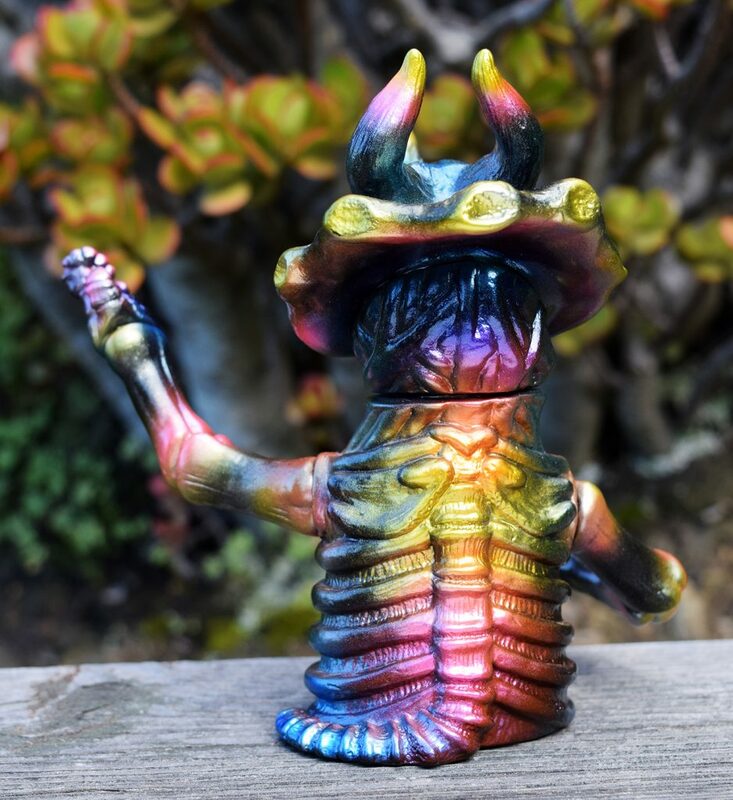 A one of a kind, painted figure made of soft vinyl ! 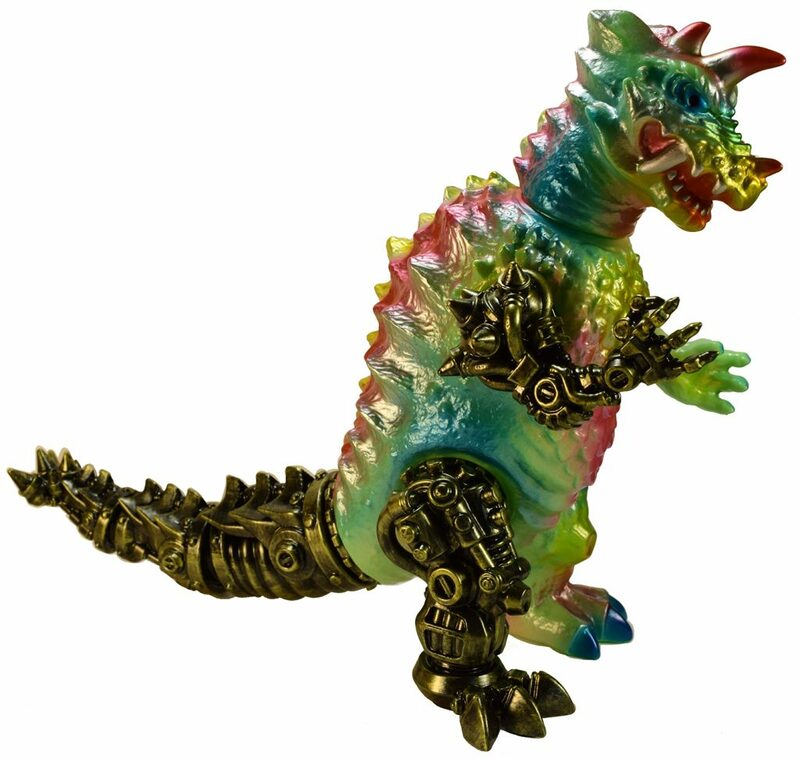 Only two remain … now in the Max Toy web store. 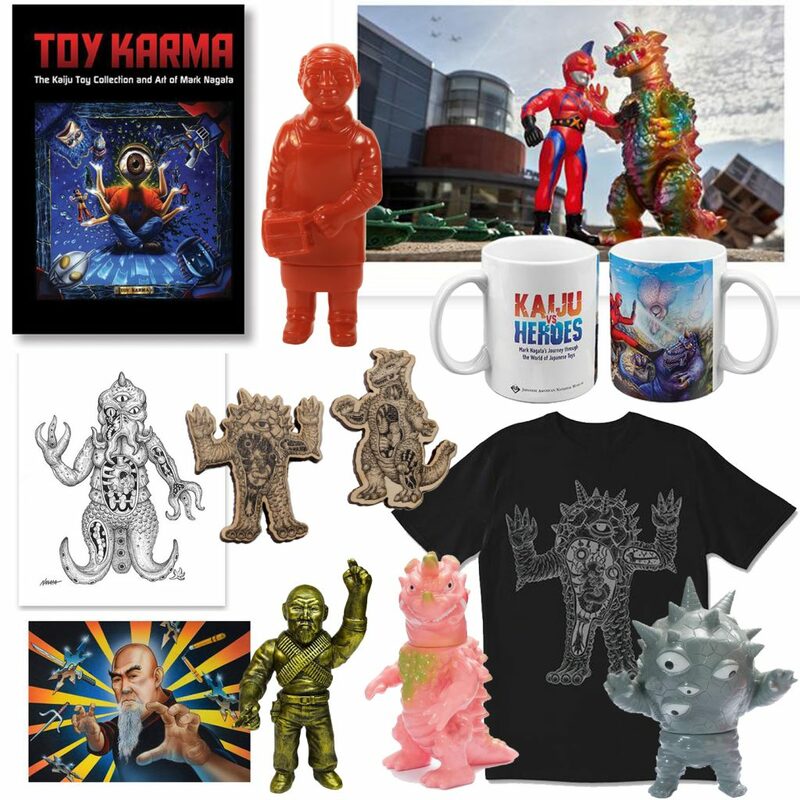 Also, head over to the Japanese American National Museum web store, for these exclusive Kaiju vs Heroes items ! 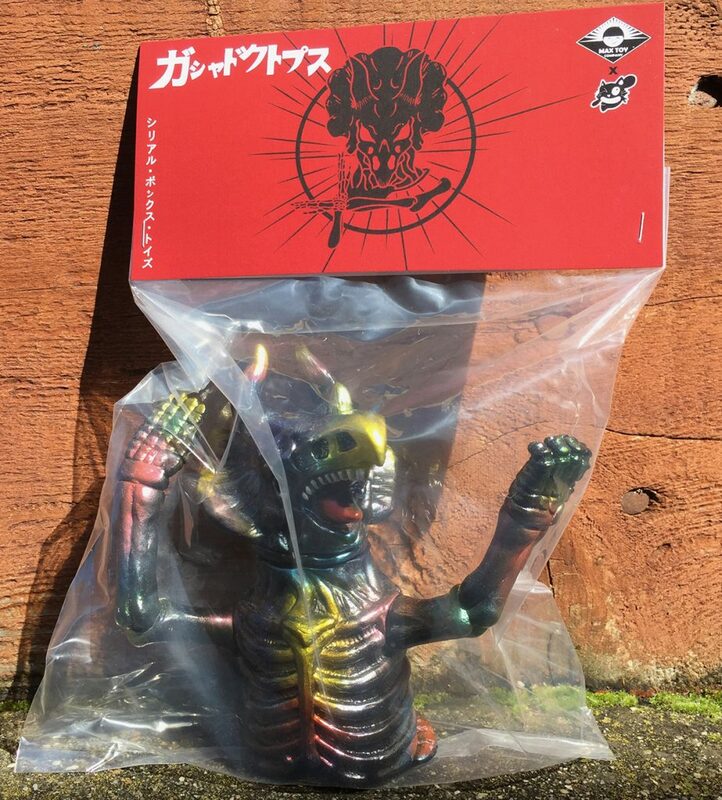 https://janmstore.com/collections/kaiju-vs-heroes Only available from the museum.. or if you are in the LA area, visit their store to purchase. 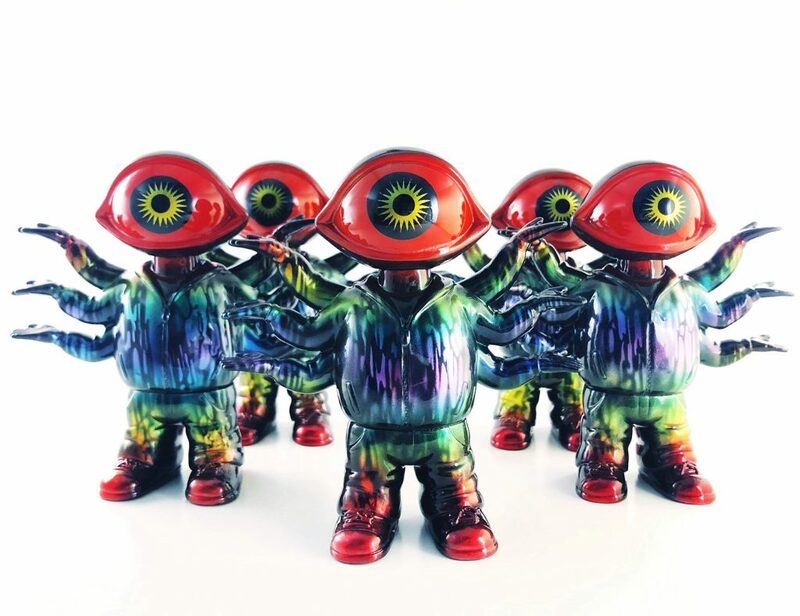 Update: 3/15/19 – Sorry, slight shipping delay on orders placed this week. 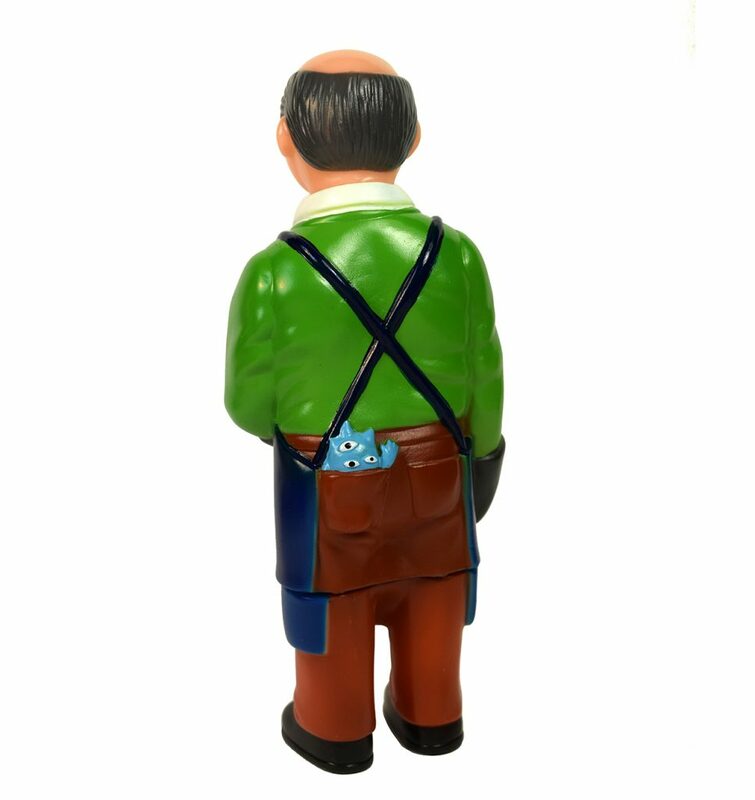 We will get all orders out by Monday. A couple of fantastic releases today ! 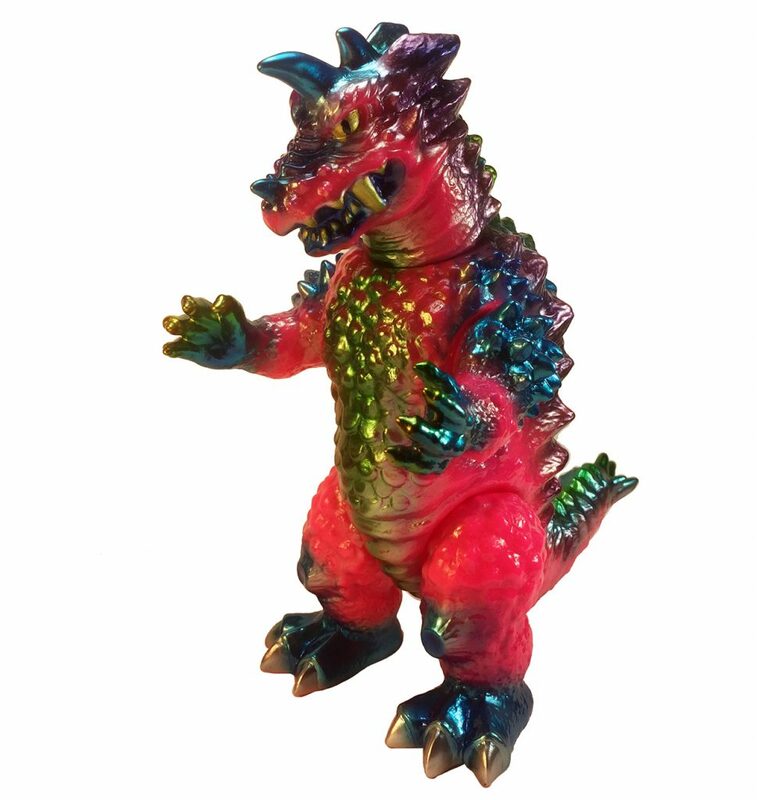 Now Sold Out ! 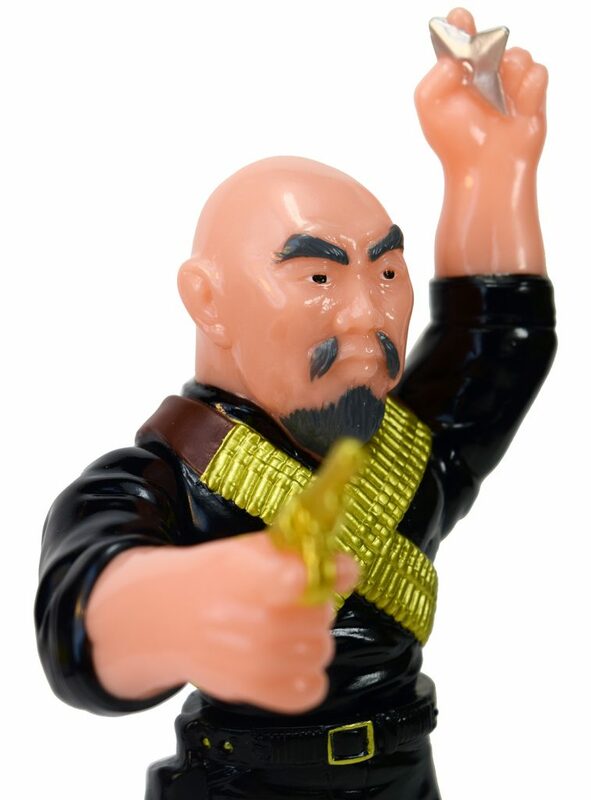 – First up we have a fully painted Man of Many Weapons, Gerald Okamura figure ! 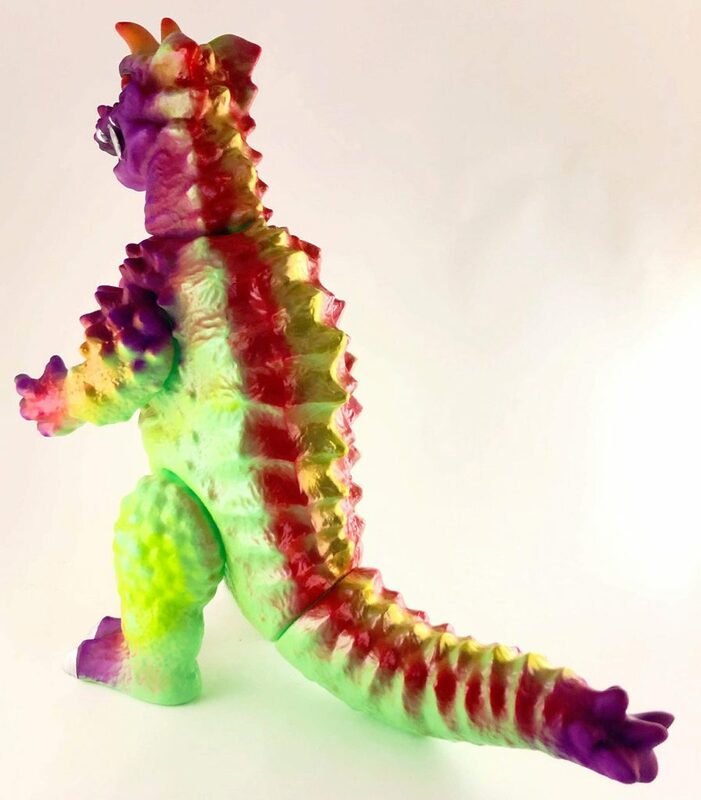 Fully cast and painted in Japan. They came out great ! 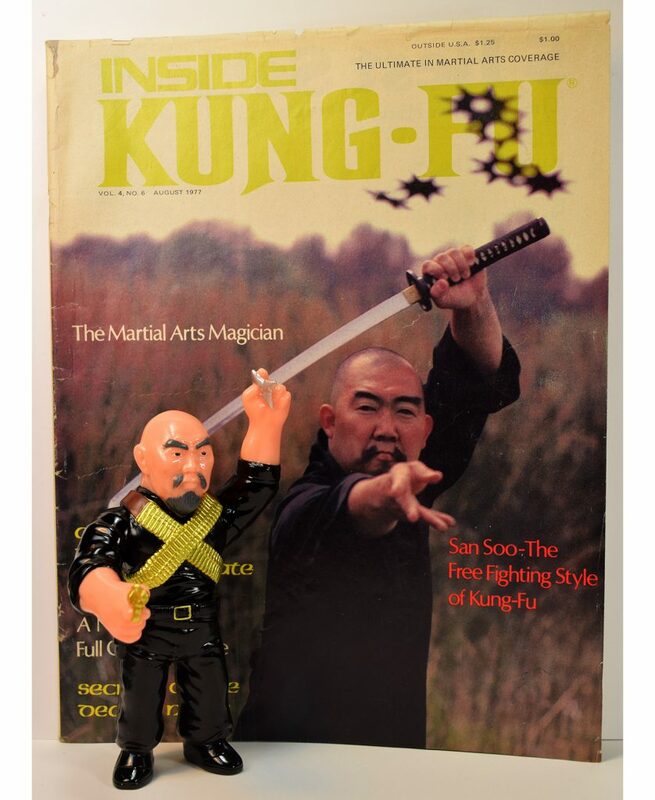 Sculpted by Makino-san of TTToys perfectly captures The Legend ! 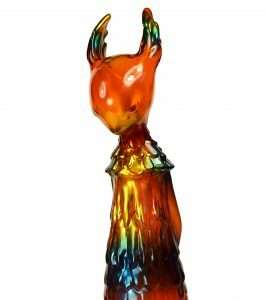 Buy one ( or more !) now here ! 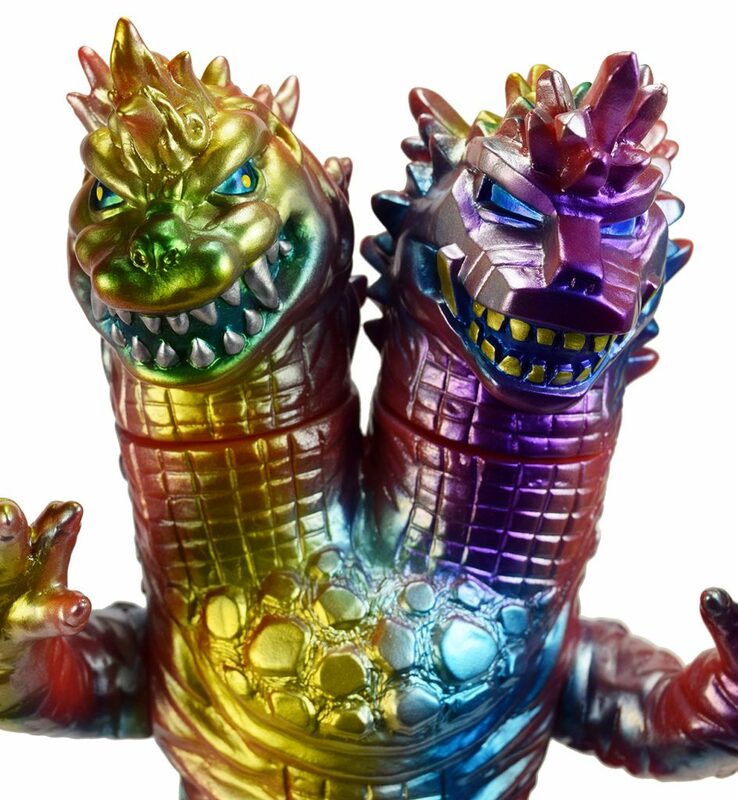 And, as if that wasn’t cool enough, we have not one, but two brand new Mecha Drazoran ! 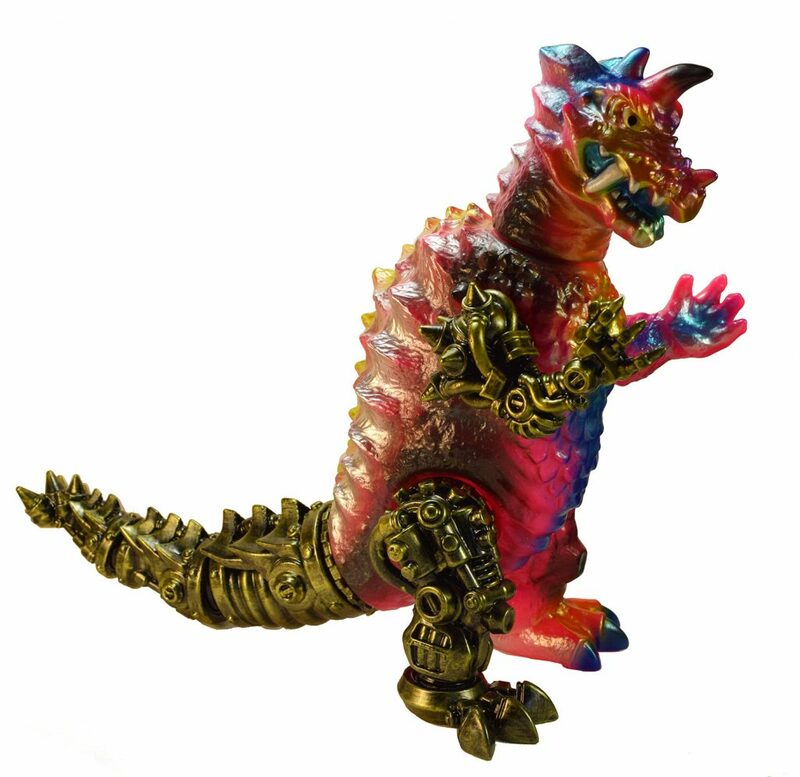 The Amazing MechaZone does it once again ! 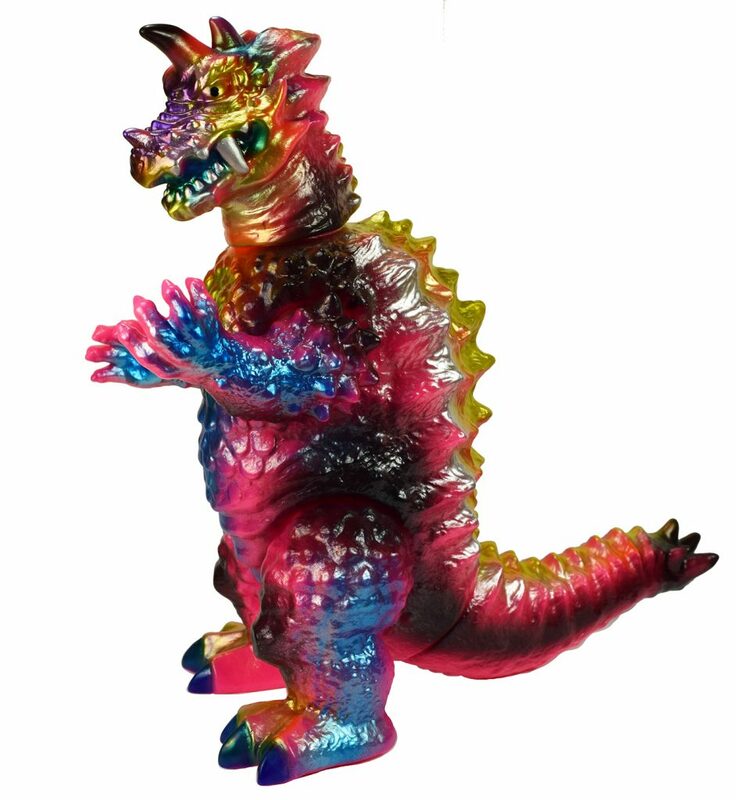 Perfectly 3D sculpted and printed mecha parts that seamlessly fit into the sofubi Kaiju Drazoran … the result is Mecha Drazoran ! 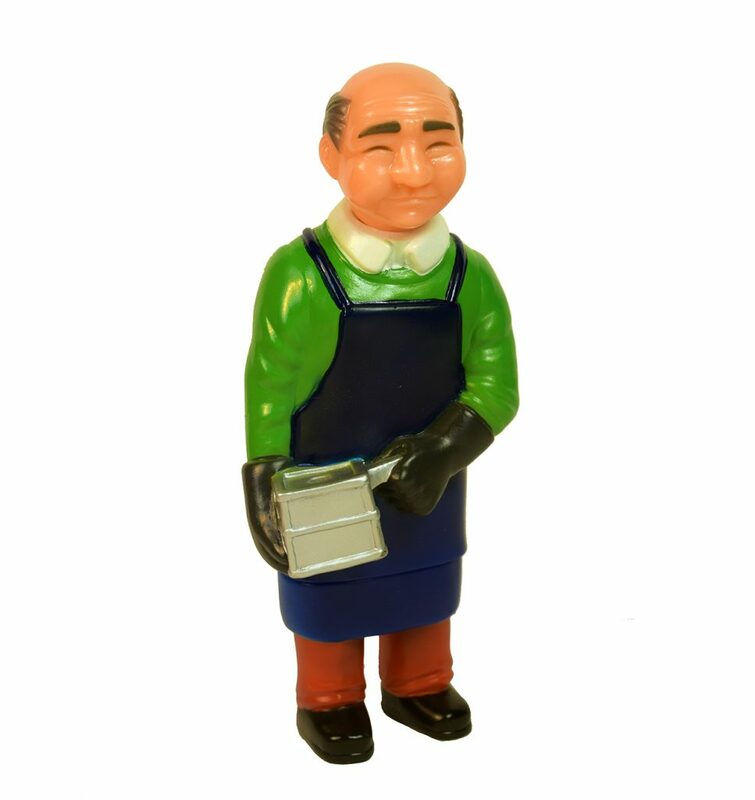 Choose from Green based vinyl or Pink based vinyl. 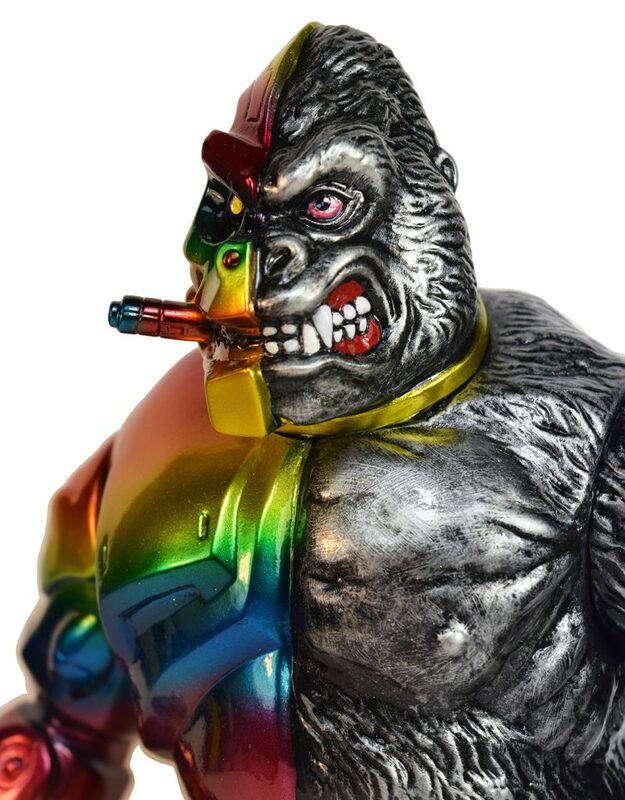 Retail is $225 each. 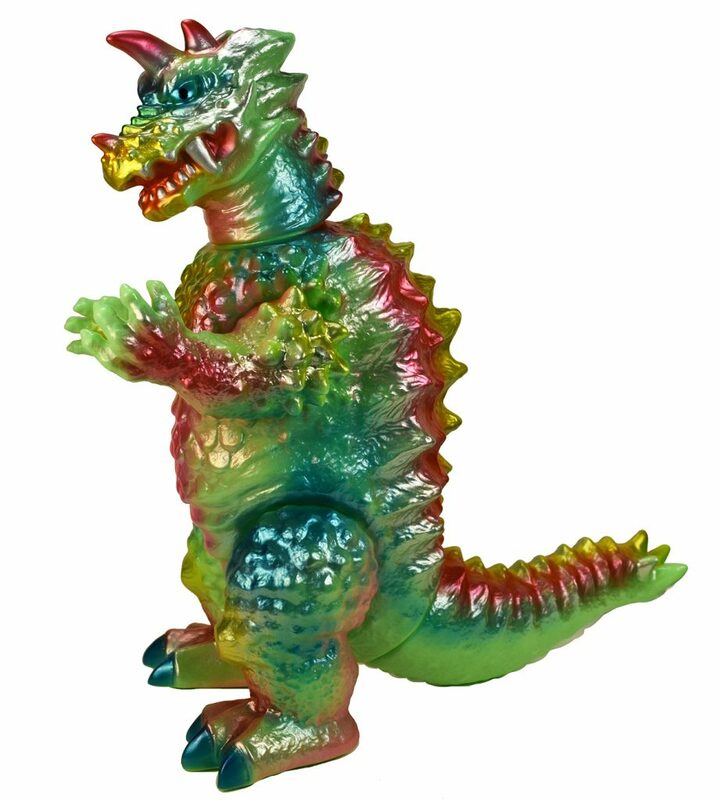 Green is limited to x8 pieces, while the Pink is limited to x7 pieces. 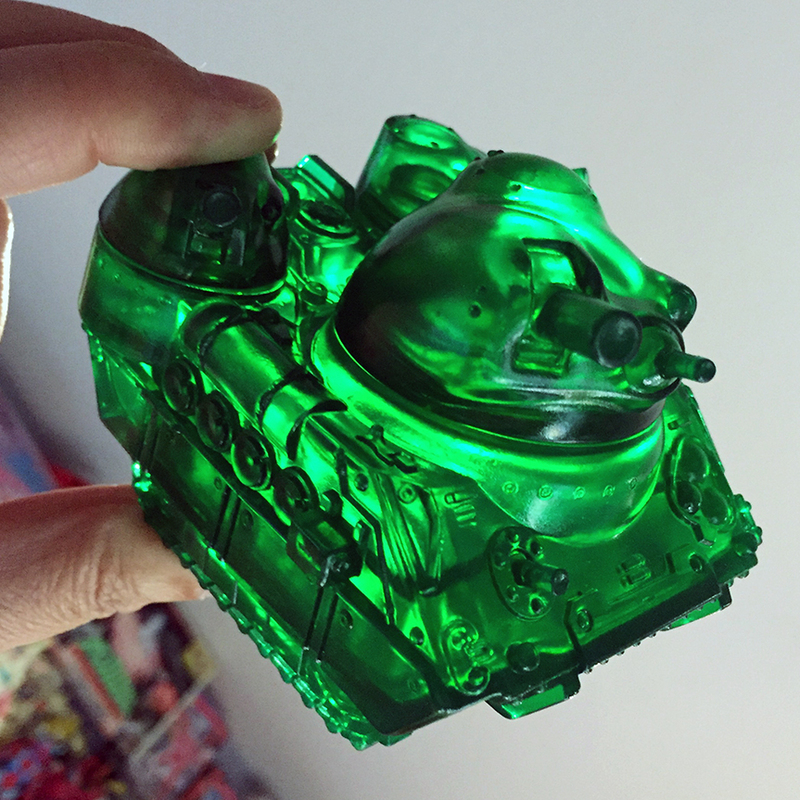 Can’t stress the work Mechazone put into the design of these pieces but also the printing and finishing of them. 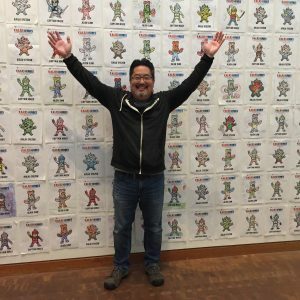 A few months back had the privilege of sitting down at my exhibit, “Kaiju vs Heroes” at the Japanese American National Museum and talk to Ken Fong of Asian America podcast. 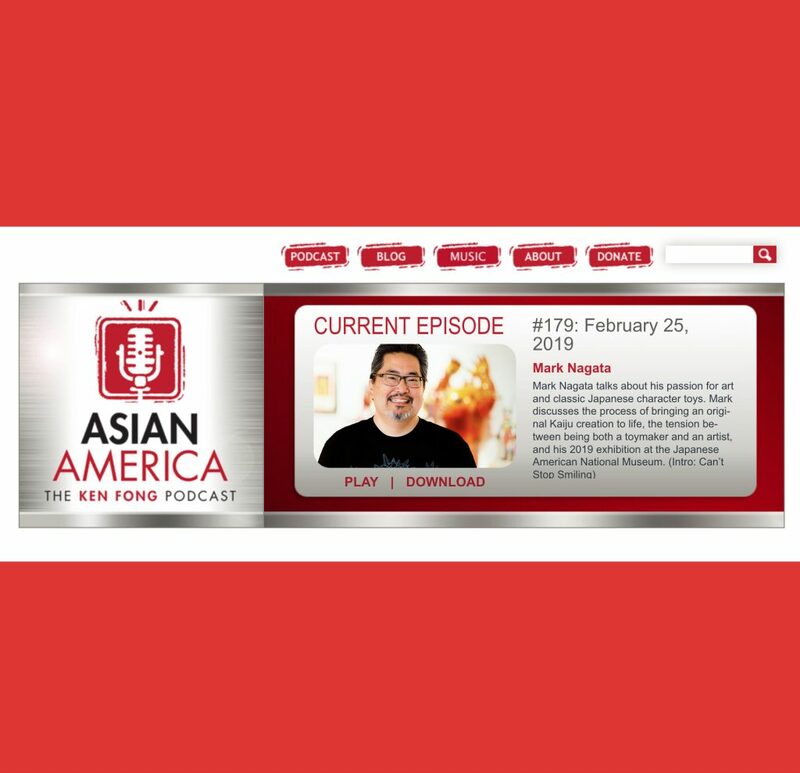 Many thanks to Ken and his podcast. Be sure to check out the other episodes they have as well. 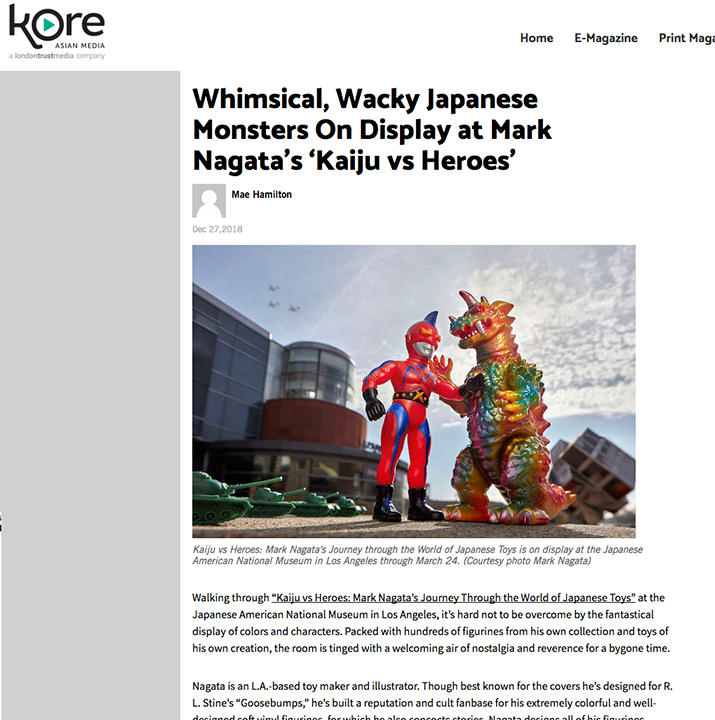 Check out the February 2019 issue of KORE, nice article by Mae Hamilton about myself and “Kaiju vs Heroes” exhibit. 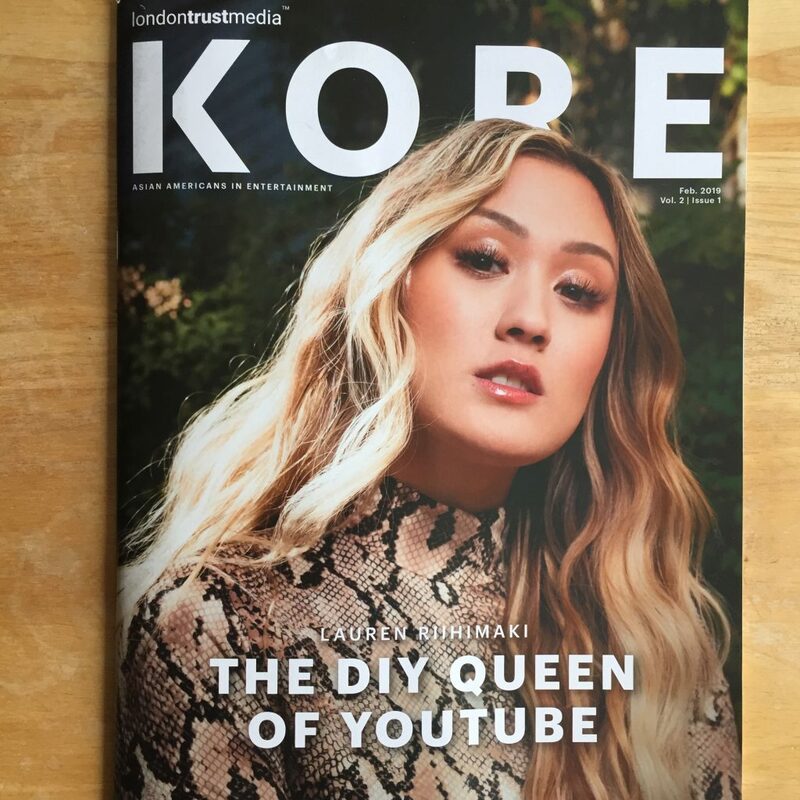 Look for it on newsstands in physical form as well ! 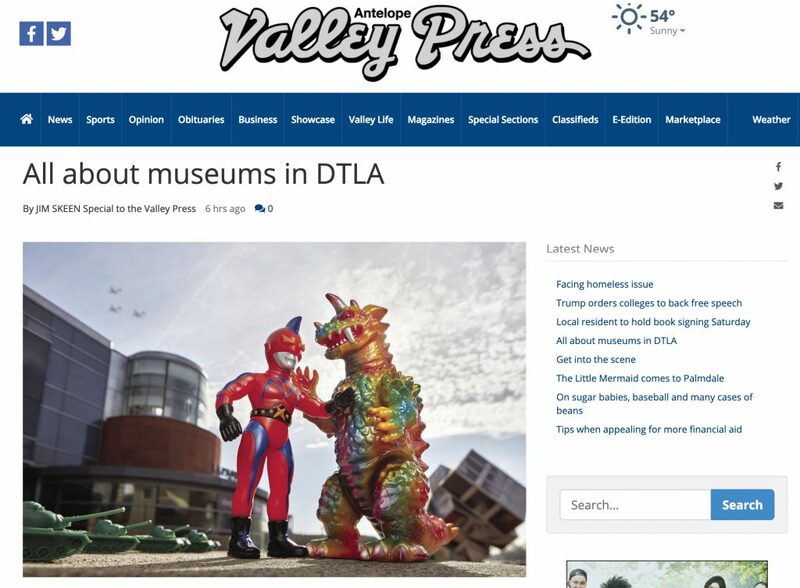 My exhibit, “Kaiju vs Heroes”, has been extended thru July 7th, 2019 at the Japanese American National Museum !!! 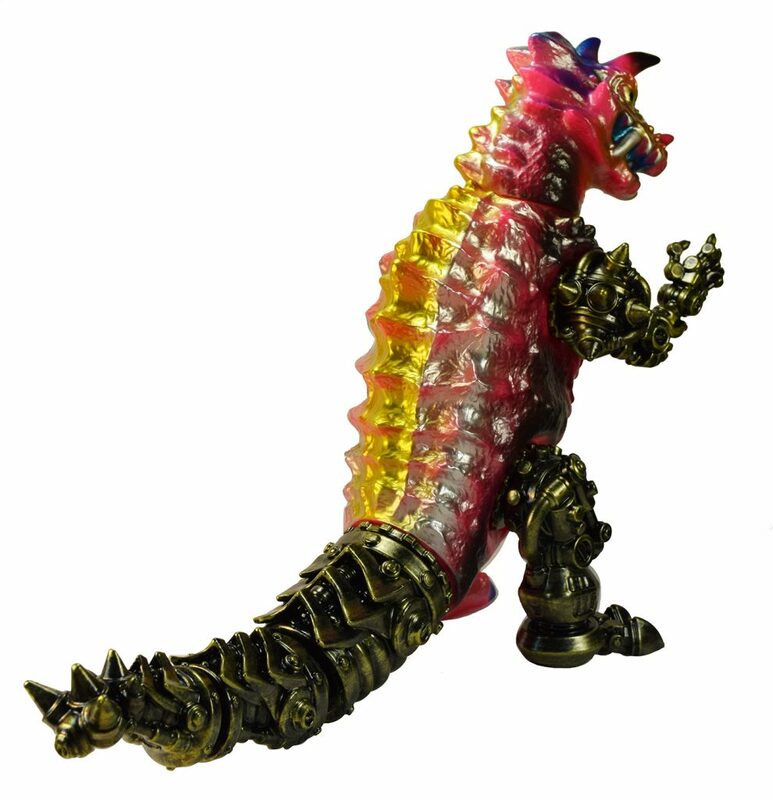 From the museums Press release: Kaiju vs Heroes: Mark Nagata’s Journey through the World of Japanese Toys, which features hundreds of contemporary and vintage Japanese vinyl toys, has been extended on view at the Japanese American National Museum through July 7, 2019. The exhibition is included in regular admission to the museum. 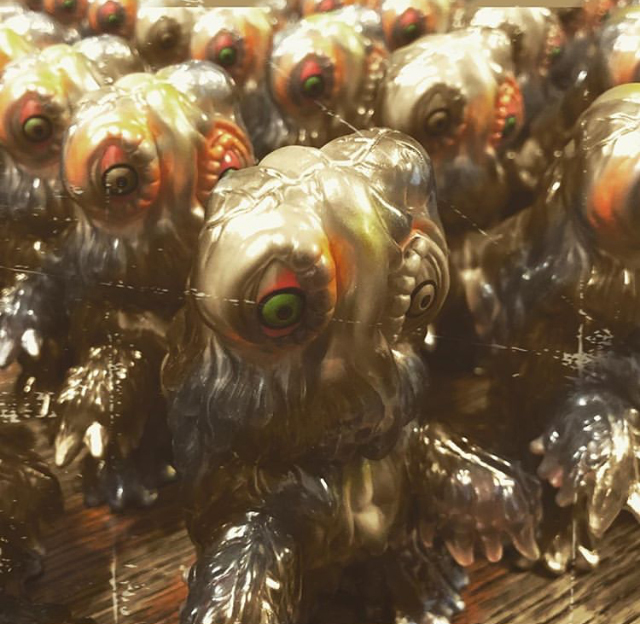 In conjunction with the exhibition’s extension, the museum will host a day-long separately ticketed Kaiju-Con on June 15, 2019. 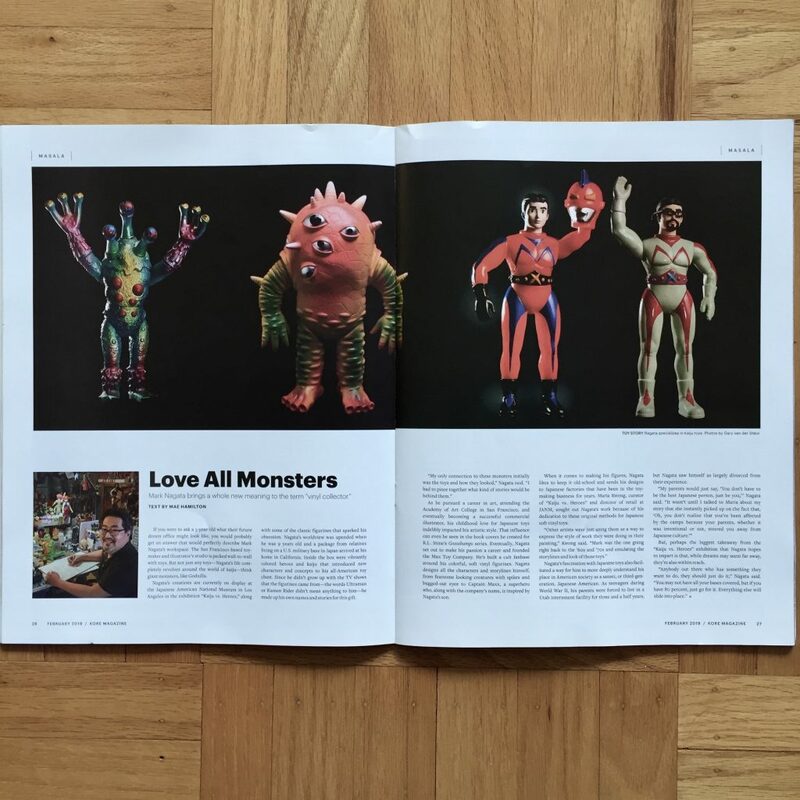 Super honored by the awesome reception this exhibit has received from both Kaiju fans and non Kaiju fans ! 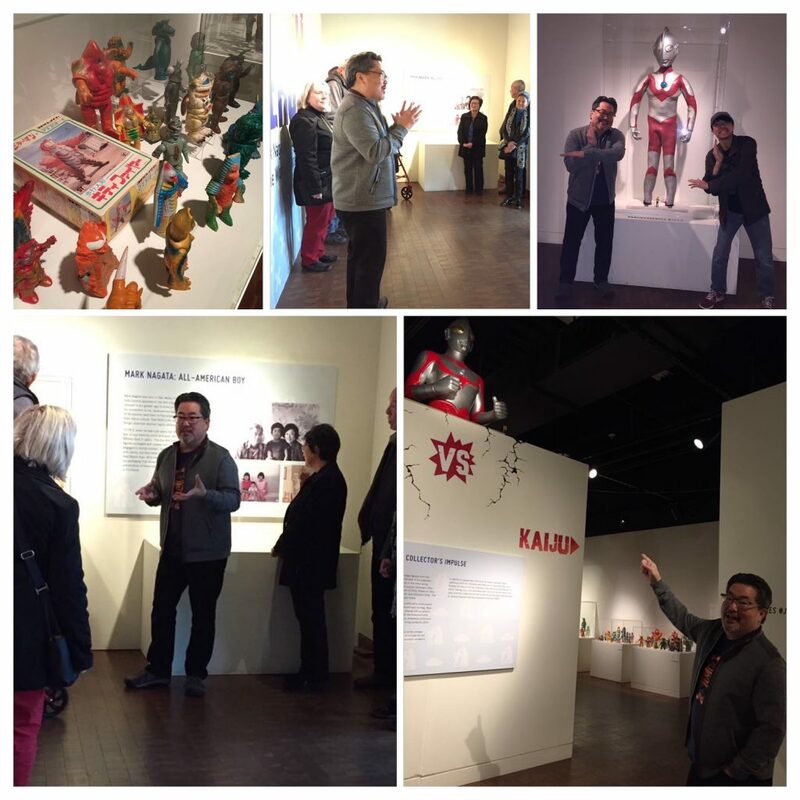 More importantly, the exhibit has allowed me the chance to reflect upon my Japanese American heritage and connect with many diverse people who were not aware of the internment of Japanese Americans during World War 2. 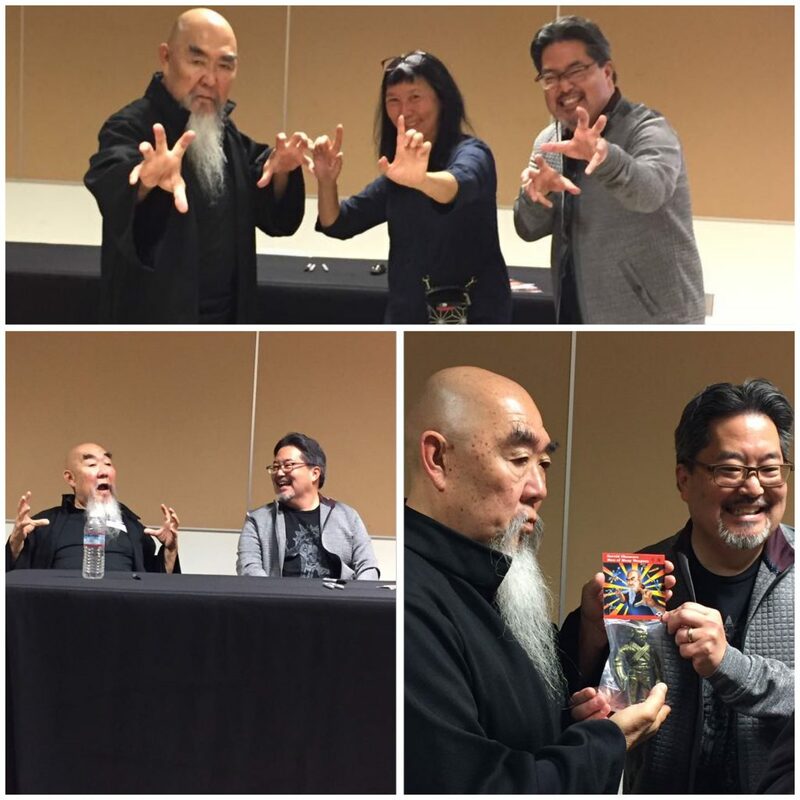 I’m grateful that by extending the exhibit thru July 7th, 2019, many more will not only see a super fun exhibit but also learn more about the internment and it’s affects on Japanese Americans. 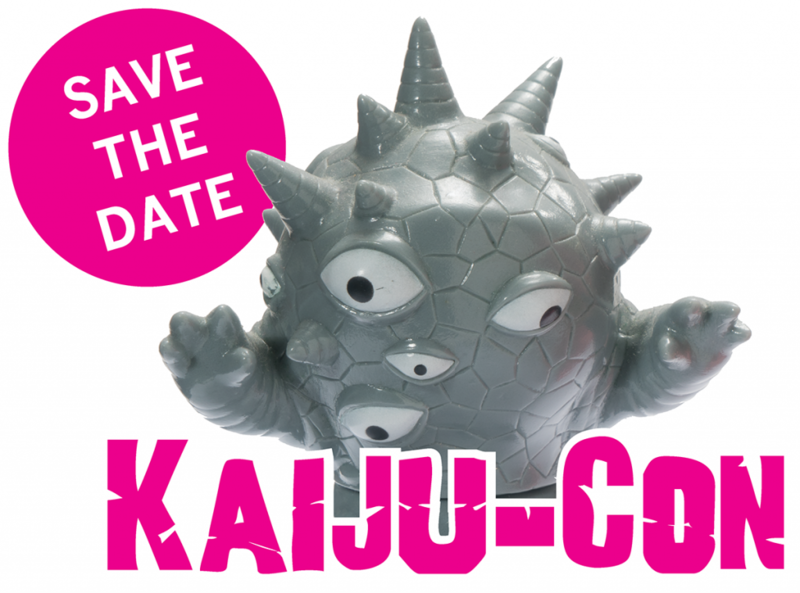 And, yes, there will be a Kaiju Con … check out their link for more info !! 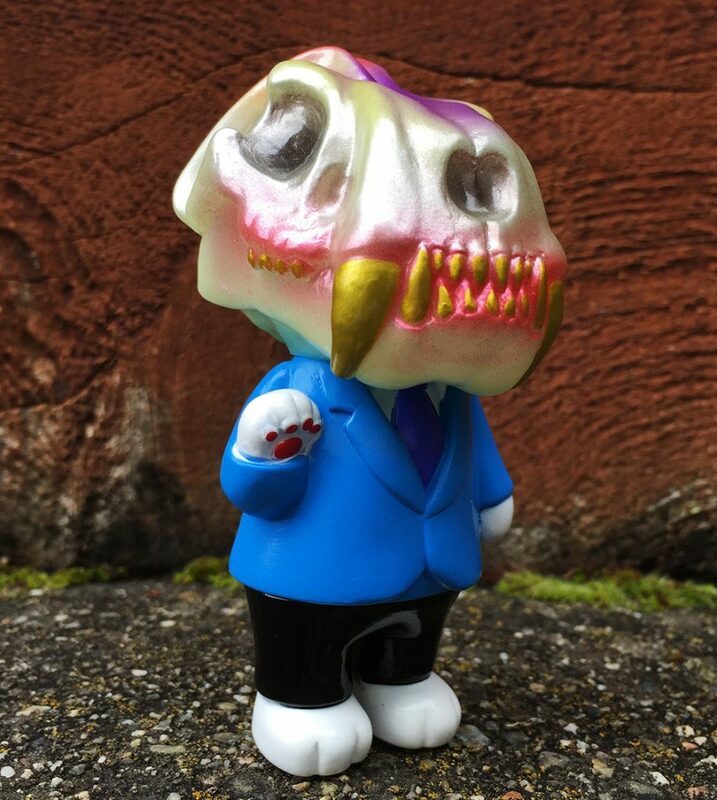 Randomly posting up for sale, customs .. most have sold.. but more to be posted in the next week. 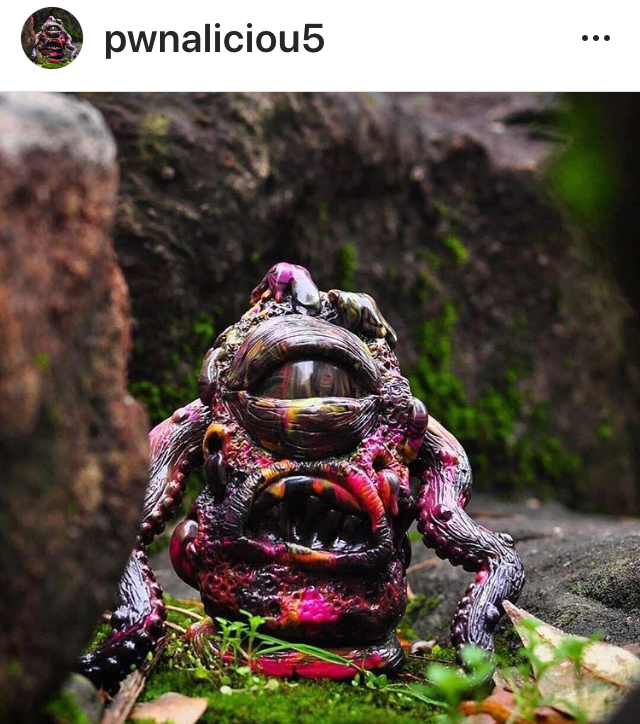 Best to follow my Instagram @maxtoyco for peeks on what I’m working on ! 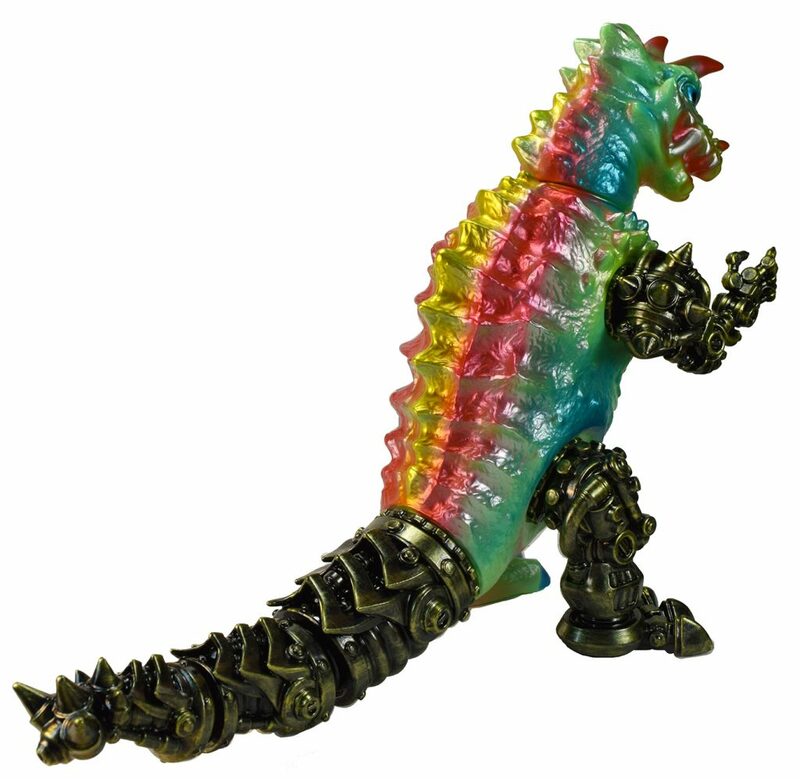 Plus, will have a few more fully painted Sofubi-man posted as well ! 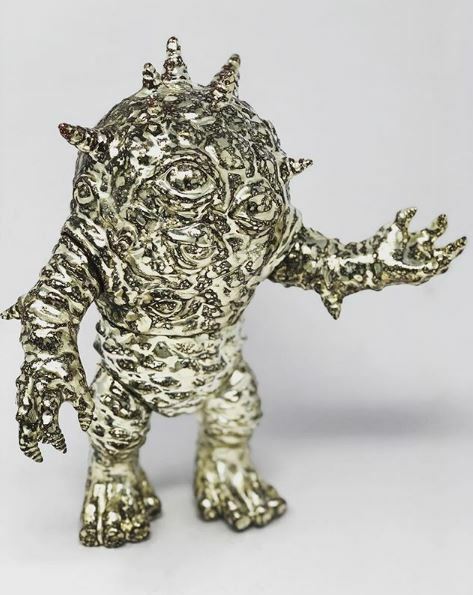 Only a few figures and prints are left exclusively via Japanese American National Museum web store : https://janmstore.com/collections/kaiju-vs-heroes Scroll down to the bottom. 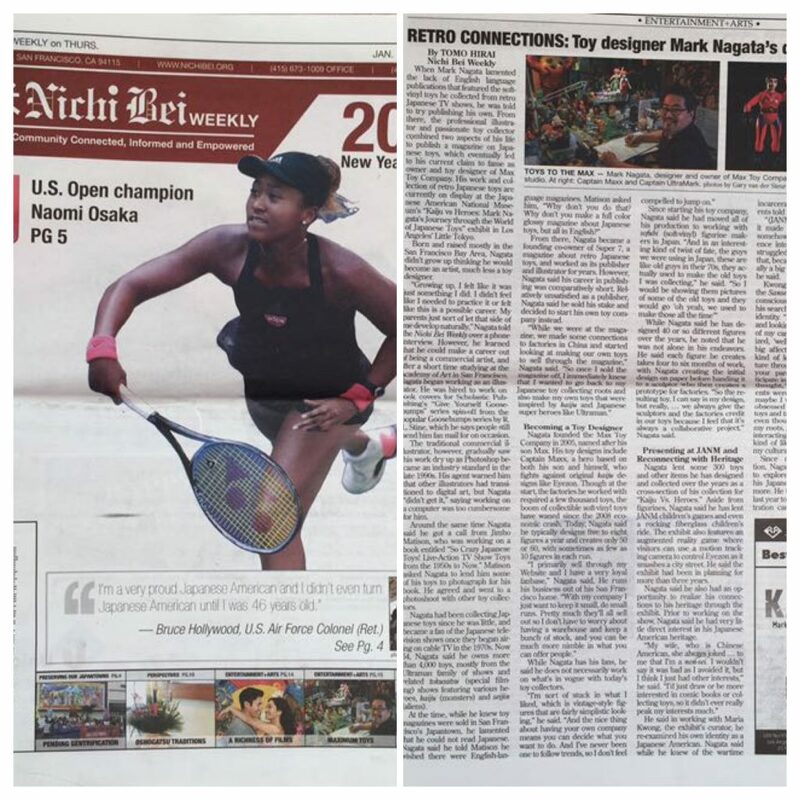 and here in San Francisco, nice article from Nichi Bei Weekly newspaper.